Quantity discount pricing will be shown in cart. Size Choose an option3" x 20"6" x 12"6" x 18"6" x 24"12" x 12"12" x 18"12" x 24"18" x 24"24" x 24"
How do I advertise locally for cheap? Long lasting and fade resistant, custom car magnets will transform your vehicle into a free mobile advertising machine. Magnetic signs are superb to use on any vehicle, because they are so effortless to apply and remove when you would like. When you’re promoting your business, you want to go where everyone can see you. One of the best places to get visibility is on the road. 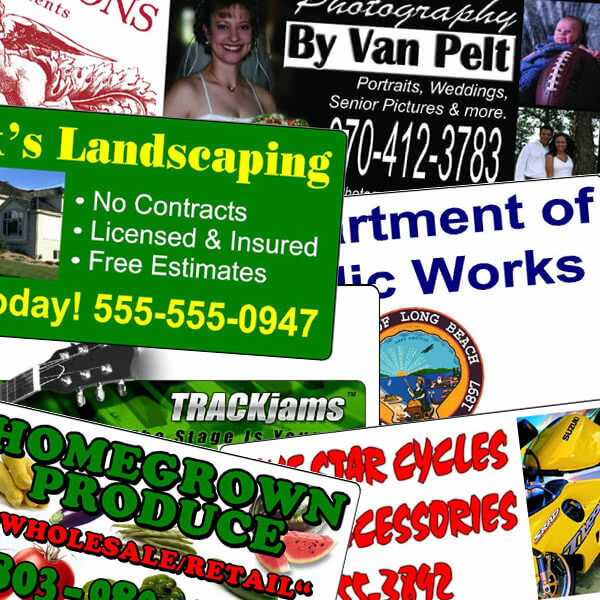 You can reach thousands of customers by using custom car magnets, also for a relatively low cost. Just go on with your daily routine, while many people will see your beautiful custom car magnets displayed on your vehicle. 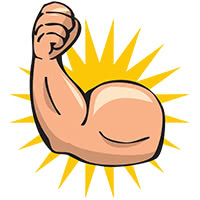 While others may sell cheap, thin material, our car magnets are made from 30-mil thick material. Also, the corners on our magnetic signs are cut round. Therefore, stopping them from flying off at faster speeds. In addition, it will also keep the corners damage free. The materials we use are UV resistant, so in the future, your magnetic signs will still look great. With proper care, your custom car magnets will last for years. 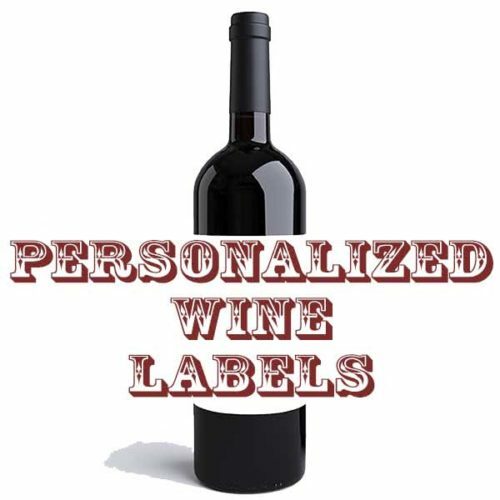 Try Our Easy To Use Custom Car Magnets & Magnetic Sign Online Designer! Ordering custom car magnets is fast and easy, as well as secure, using our online design system. 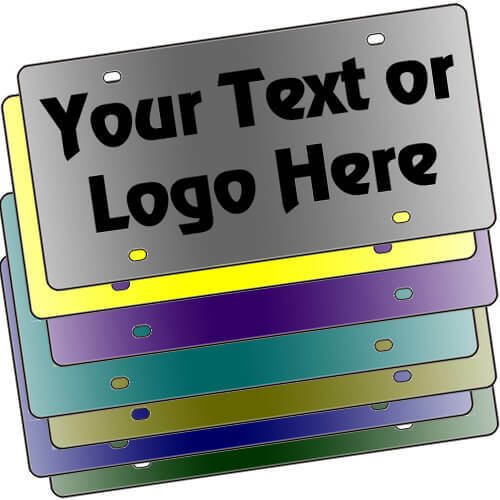 Custom magnetic signs are available in many background colors. Also, there are many fonts and effects available to choose from. Here are some tips to assist you. Try to keep your text to a minimum. As a result, your letters will be bigger. Also, if you have a logo or art you wish to use, simply upload it into the designer. 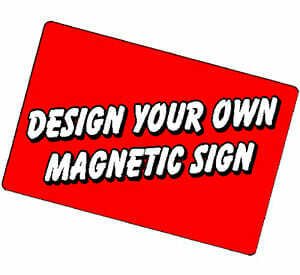 Your art or logo should be large enough to reproduce on a magnetic sign. Quantity discounts for custom car magnets are available upon checkout. Custom Car Magnets Installation and Maintenance. How do I store my car magnet? 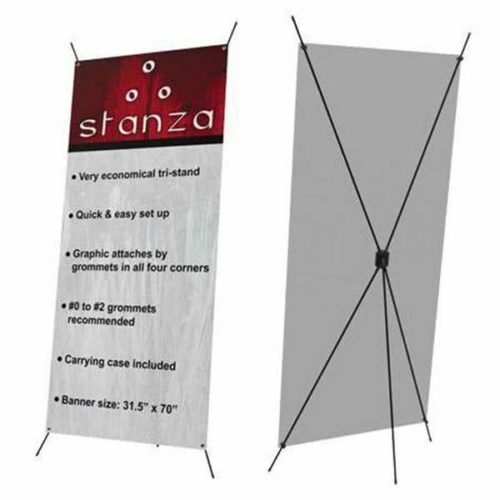 When not using your custom magnetic signs, keep them in a clean, dry place. 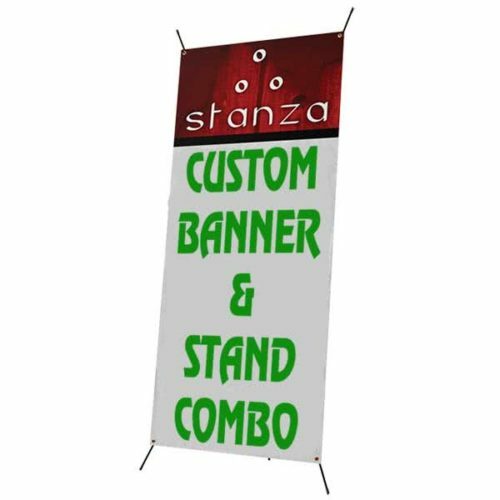 Store a rolled magnetic sign on it’s end with the printed design facing out. When storing flat, be sure your custom car magnets are on a level surface. Avoid putting objects on top that could scuff the design; don’t stack with the magnetic sides facing one another. How do I prepare my vehicle before applying a car magnet? Clean the metal surface, and also the magnetic side with a mild detergent. Wax the surface where the custom car magnets will be applied. Wipe with a soft material, or allow to dry. How do I apply a car magnet? 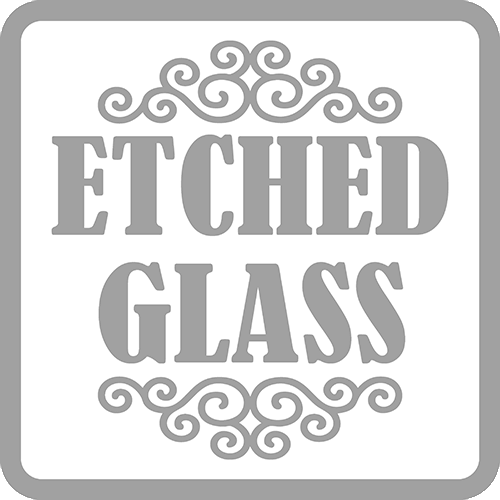 Affix to a smooth, flat or gently curved metallic surfaces. Make sure the whole magnet is flat against the metal surface (i.e., no air pockets). Do not apply over factory decals, pinstripes or molded body panels. If the temperature outside is cold, make sure the custom magnetic signs themselves are above 50 degrees F before applying. If you place the car magnet in the wrong position, completely remove the magnetic sign from the surface and reaffix. Do not pull the custom magnetic signs across the surface, or it may stretch due to the resistance caused by the high magnetic strength. Avoid use on horizontal metal surfaces exposed to direct sun (such as automobile hoods) or temperatures above 150 degrees F.
Be aware that long-term use on surfaces frequently exposed to sunlight (such as vehicles) can result in uneven fading of the surface, because the magnet-covered area is shielded from ultraviolet rays. Do not apply the custom car magnets near your gas cap. As a result, chemicals from over spill may damage the magnet. How do I clean my magnetic signs? Remove the magnet at regular intervals to protect against moisture and dirt buildup between the magnet, and also the metal surface. 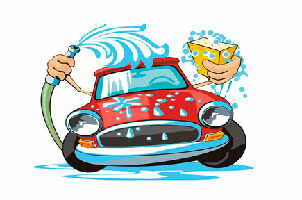 Clean both the custom car magnets and metal surface with mild detergent; wipe with a soft cloth or allow to air-dry. We recomend removing and cleaning WEEKLY. Remove the custom car magnets prior to pressure washing, or at an automated car wash. 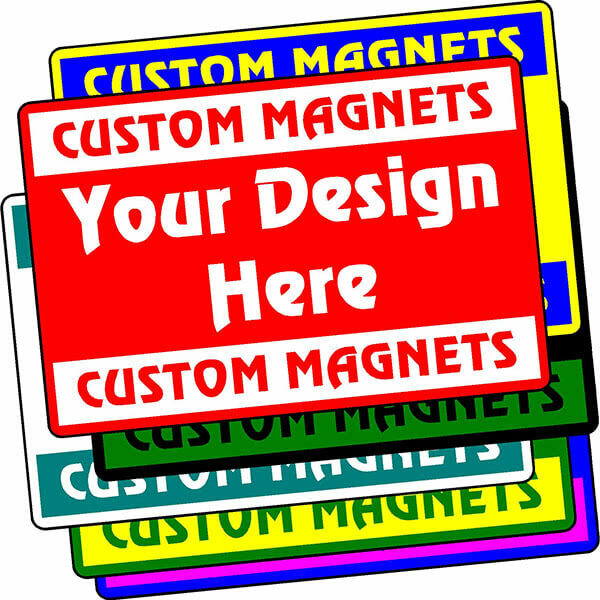 If you have any issues, or questions about you custom magnetic signs, please contact us. 3" x 20", 6" x 12", 6" x 18", 6" x 24", 12" x 12", 12" x 18", 12" x 24", 18" x 24", 24" x 24"